It packs NVIDIA GeForce GTX 1060 graphics but weighs just 3.4 pounds. Origin recently launched a pretty lightweight Max-Q gaming laptop, but with its latest model, it's pushing the form factor even more. The new 15.6-inch EON-15S is just an inch thick and tips the scale at a mere 3.4 pounds, but it packs up to an Intel Core i9-8950HK 6-core CPU and NVIDIA GeForce GTX 1060 graphics. What's more, there's a special toggle that lets you get up to eight hours of battery life, presumably by throttling back the CPU and GPU. Origin's current EVO15-S with NVIDIA GTX 1070 Max-Q graphics is pretty light at 4.3 pounds, but that's still nearly a full pound more than the new model. Other features on the new EON-15S include a 1080p screen (there's no 4K option for now), up to 32GB of RAM, space for two M.2 NVMe SSDs and a hybrid mechanical RGB keyboard with individual key lighting. The Miami, Florida-based manufacturer also unveiled the EVO17-S (above) aimed more at the high-performance gaming and graphics crowd. It packs 17.3-inch 4K or 1080p G-Sync screens and up to an Intel Core i9-8950HK processor NVIDIA GeForce GTX 1070 desktop-class GPU. The extra space allows for a regular 2.5-inch HDD on top of two M.2 NVMe models and 32GB of RAM. It also supports Origin's CPU and GPU overclocking. 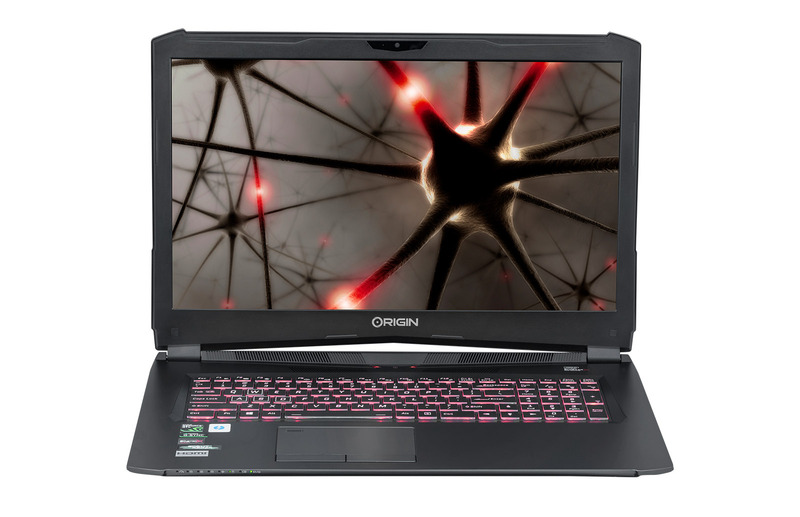 Origin also released the business-oriented NS-15S and NT-17 models, but they appear to be rebadged versions of the gaming laptops above. 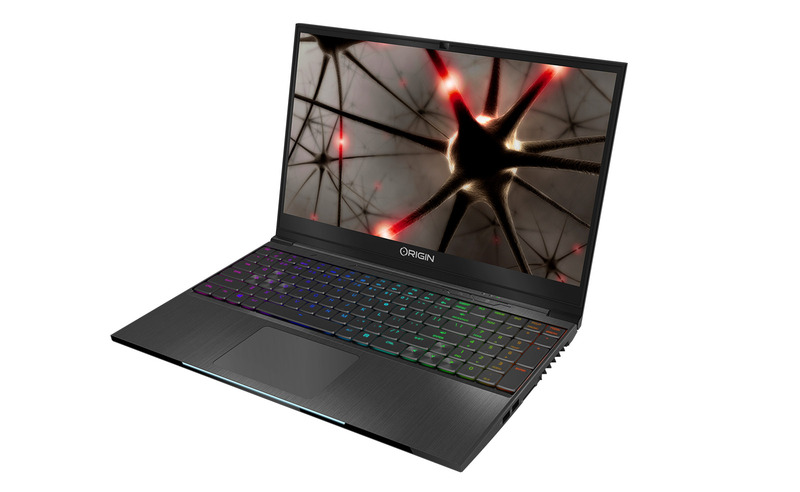 It also re-released the NT-15, a model looks identical to the one I tested last year with an Intel Core i7-7700HQ processor, NVIDIA Quadro P4000 Max-Q graphics and 4.3 pound heft. All the new laptops are available starting today, with the EON15-S starting at $1,449 in a basic configuration (8GB of RAM and NVIDIA GTX 1050 Ti graphics), or $1,698 with 16GB of RAM and an a GTX 1060 with 6GB of GDDR5. The EVO17-S, meanwhile, starts at $1,999. The more business-oriented models, the NS-15S, NT-17 and NT-15 start at $1,474, $2,036 and $2,275 respectively. Update: The article now includes pricing, and we corrected the name of the product and a broken link in the first paragraph.